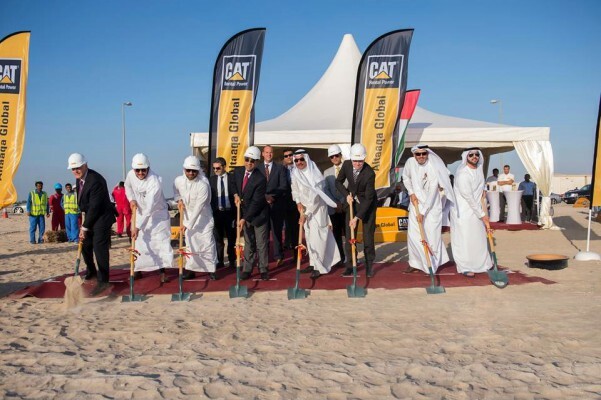 Altaaqa Global CAT Rental Power, the global provider of temporary power solutions, broke ground at the site of its new headquarters at the Dubai World Central, on December 3, 2014. Located on a 40,000 square meter plot of land, the facility will house the head office, a state-of-the-art asset monitoring & control center, a training center, an equipment servicing center, and recreational areas – together serving as the hub for the company’s worldwide operations. 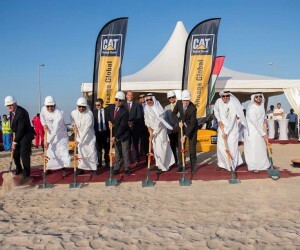 The groundbreaking ceremony was led by Altaaqa Global Chairman, Mr. Fahad Y. Zahid, and was attended by company executives, personnel and distinguished guests. Commenting on the occasion, Mr. Fahad Y. Zahid said, “Once completed, the headquarters will propel Altaaqa Global to the position of a global operator with its own resources to manage, maintain and service its assets in-house, shortly after its inception. The facility will also give the company the means to control its global footprint from a single, central station. As a further part of the groundbreaking festivities, there was a symbolic planting of a date palm tree by Mr. Fahad Y. Zahid. Altaaqa Global was the product of Zahid Group’s decision to capitalize on the success of its 1.3 GW temporary power project business in Saudi Arabia, then called Altaaqa Alternative Solutions (Altaaqa Saudi). After several fruitful years in the energy industry, Zahid Group created Altaaqa Global, in order to replicate the success of Altaaqa Saudi on an international scale.